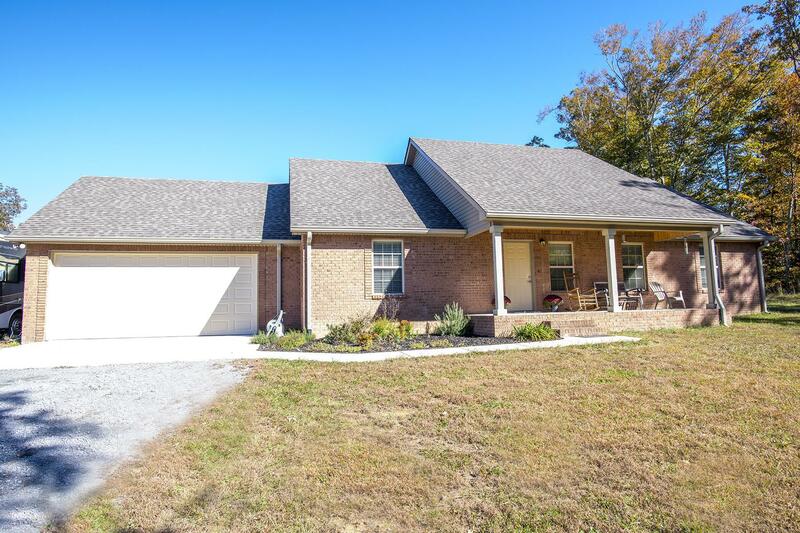 Beautiful custom brick home on 8.04 acres. Huge tiled master shower. 10'6" living ceilings w/ indirect lighting. Awesome bonus room w/ full bath. Fantastic attic storage. 2x6 walls w/ R-19. Oversize 2 car garage. 24x24 workshop. 16x20 carport. 12x27 tiled porch. 6 mi. to marina. Creek, trees, tranquility and more...Call today to see this home!